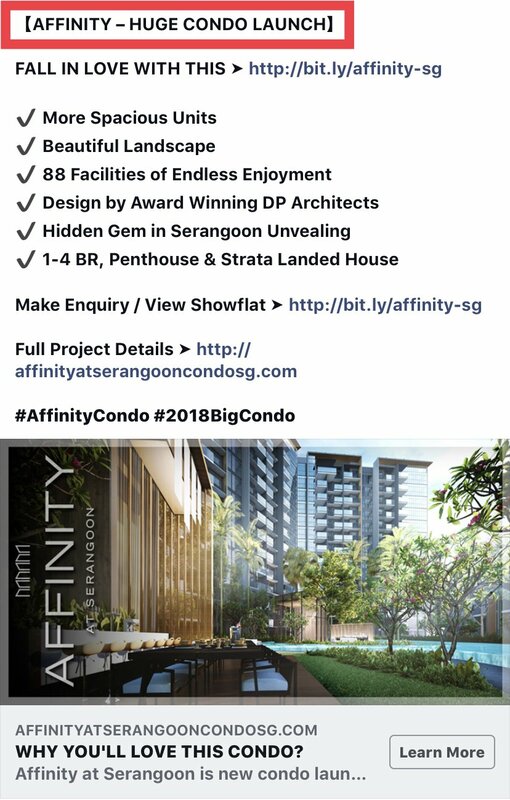 Affinity at Serangoon by Oxley Holdings is a large development with 1012 units & 40 strata landed homes. Part 2 - Golden Ginger and Blocks 24 and 26. 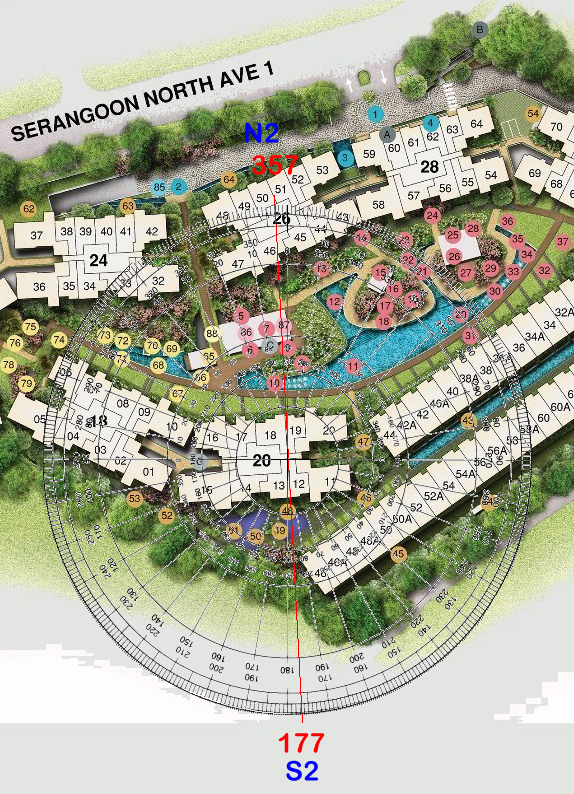 Block 26 is directly facing the HDB Golden Ginger apartments. 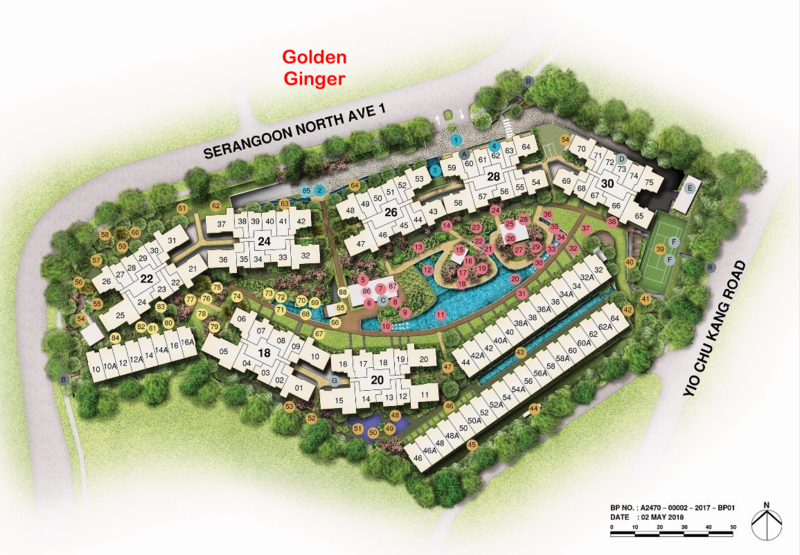 Goldern Ginger is an apartment block for the elderly. Frankly, this is a consideration given that there are some who do not like facing such apartments. Or may affect resale values in the future. 1. 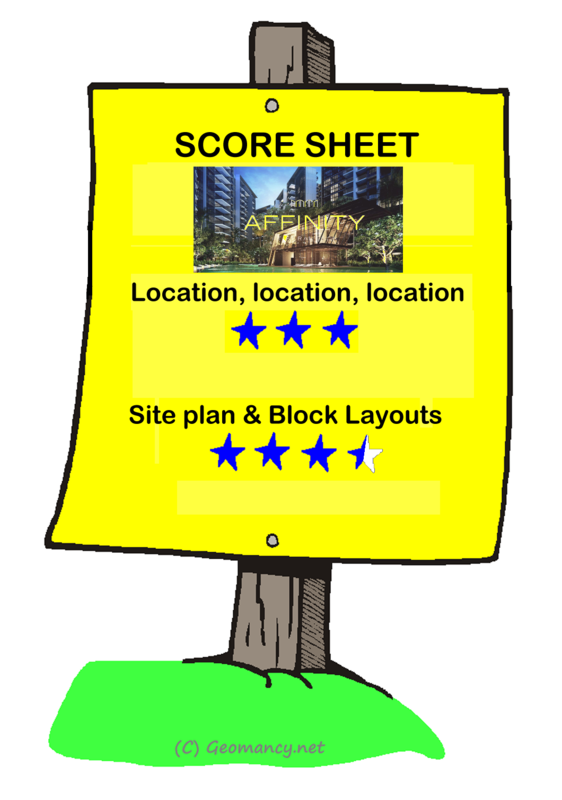 Personally, I would avoid purchasing a unit directly above the retail shops. Both for privacy, cleanliness and the expected higher foot-traffic. 4. BBQ areas, Alfresco Dining and Kitchen areas. 5. Pavilions especially what type of roof designs (If any). As some roof designs can result being poison arrows towards a unit's opening. And equally for privacy issues. 6. 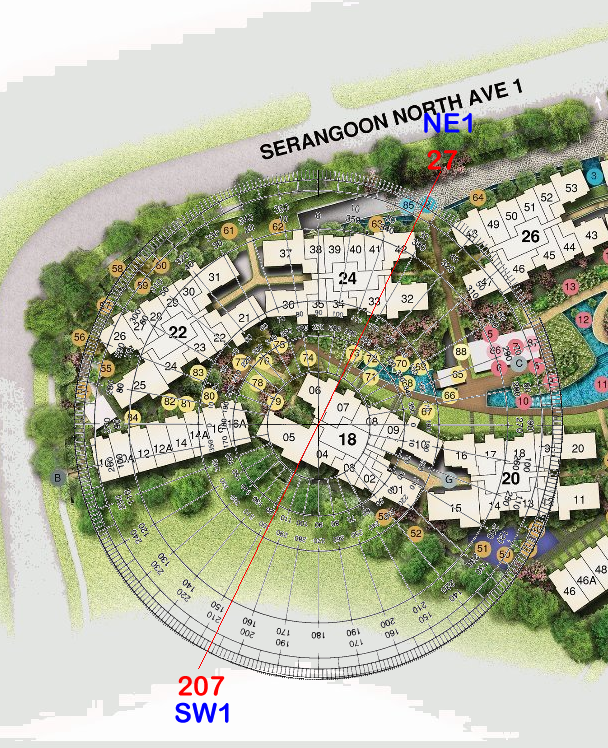 And if one does not like noisy areas; this includes proximity to Kids fountain pool, bubble pool, spa and kids play ground, jacuzzi etc.. In my opinion, it is a waste of time for condos to have Spice and Herb Gardens. 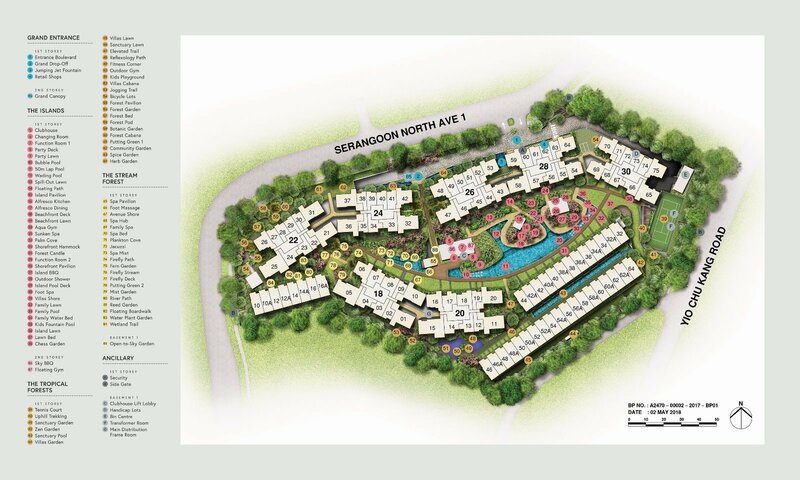 This is due to the requirement that fogging has to be done weekly at all condominums. Thus the spice and herbs in such gardens are like.. nice to see but "NO TOUCH!". 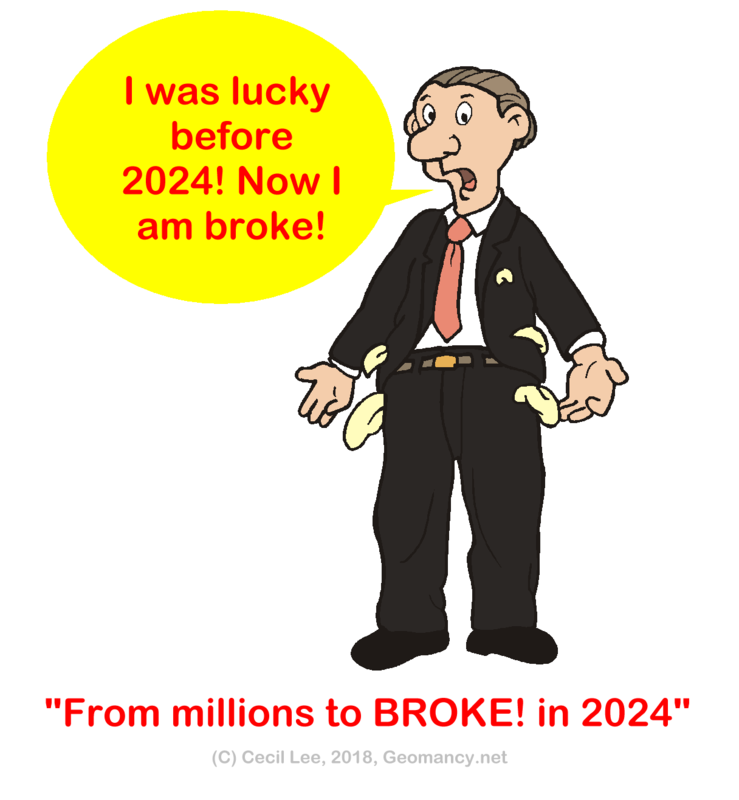 Frankly, iin reality a waste of time. 1. 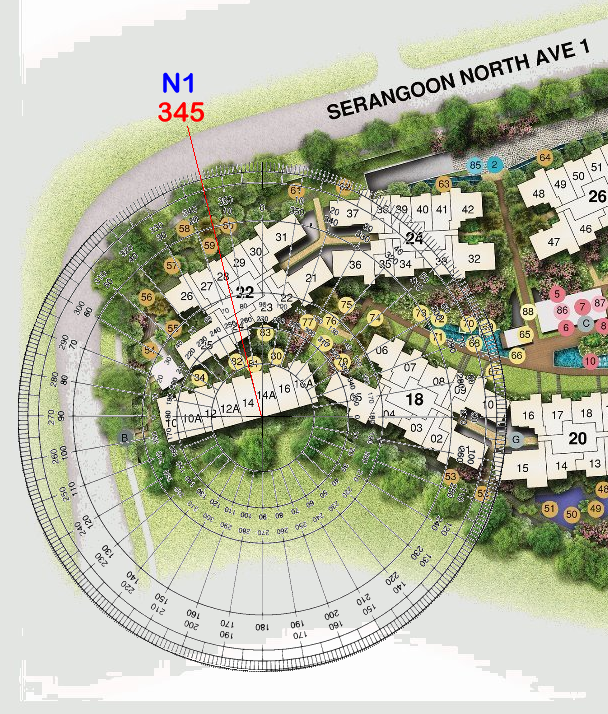 One major consideration is: "Where is the external common central rubbish bin(s) on each storey?" 2. 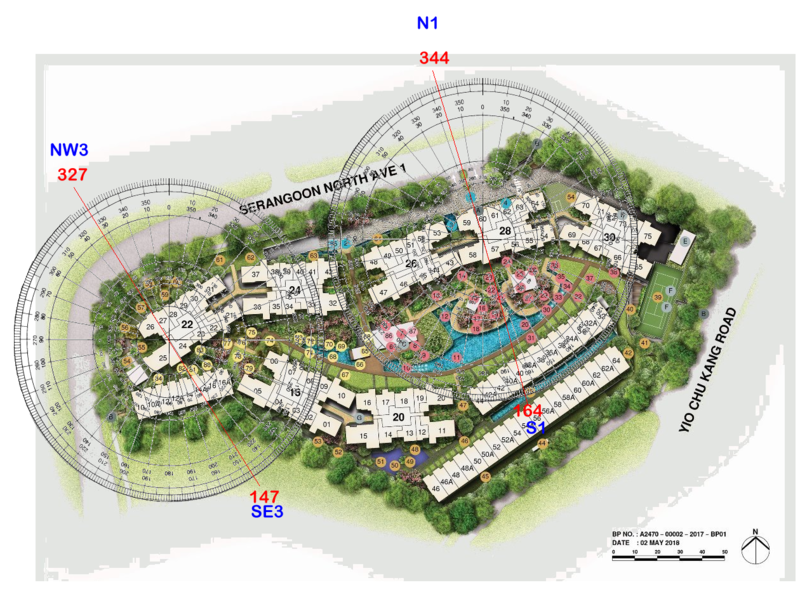 For this development, the developer does not show the location of the external central rubbish bin(s). 3. Before signing the dotted line.. do check with the Sales Agent. 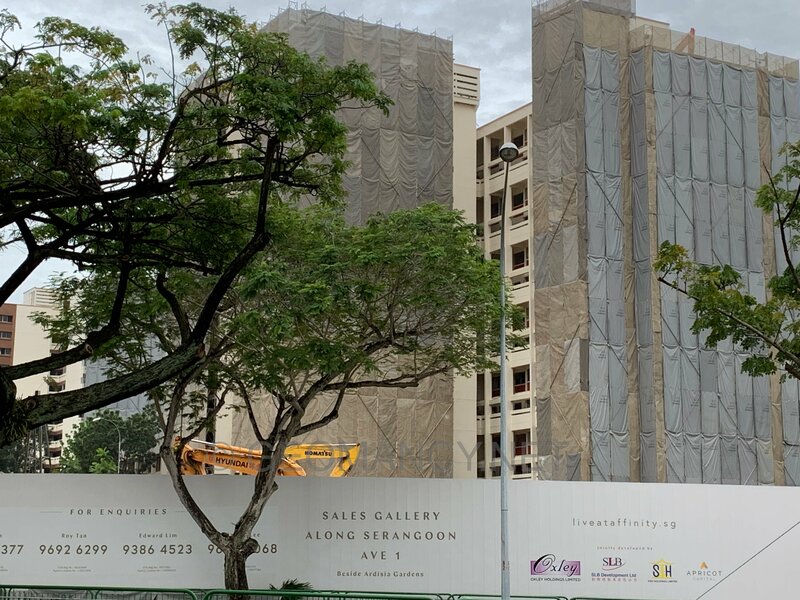 In many recent past developments like the Hillion at Bukit Panjang and even 100 Palm Residences, many "wise" potential buyers have successfully requested and viewed the exact location of the common central corridor. 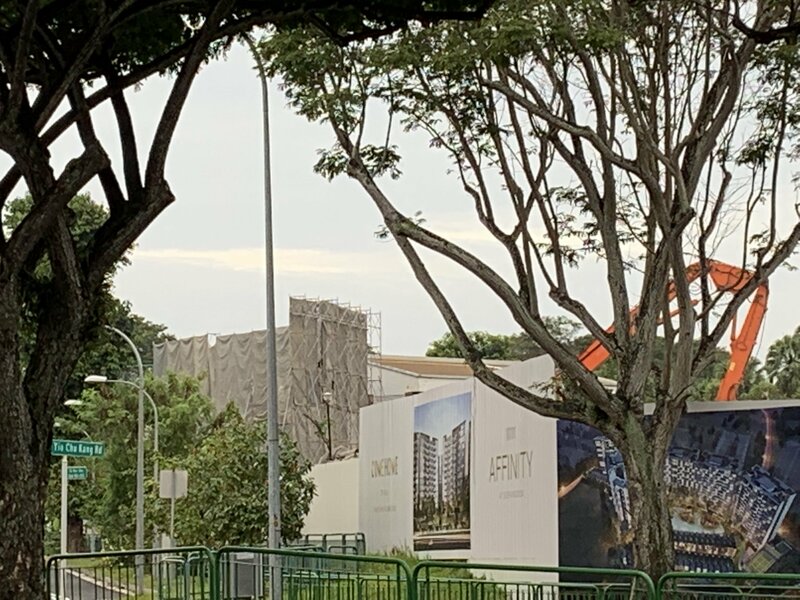 Part 5 - Case Study: Poison arrow(s) from sharp corner of neighbouring block or from strata landed homes affecting some condo unit's low storeys. 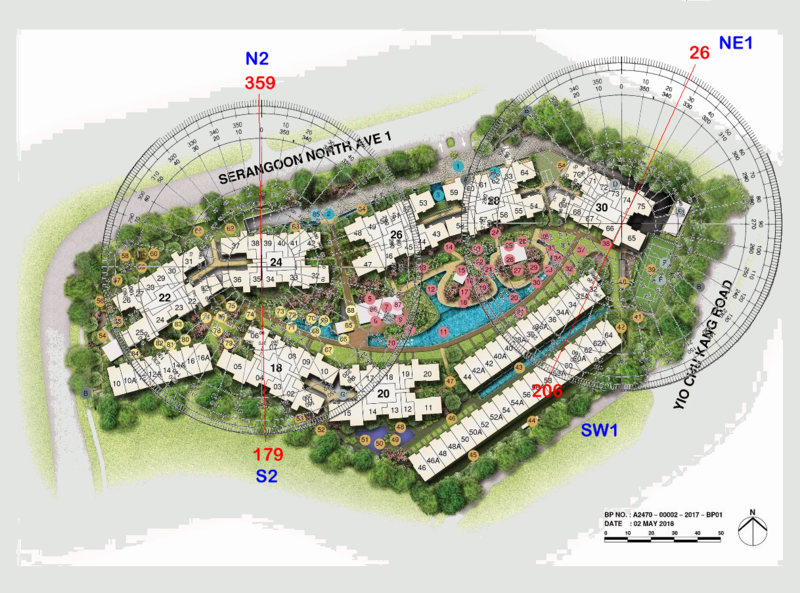 I am particularly concerned with Block 22, stacks 21, 22, 23, 24 & 25 and the low storeys of the strata homes from house no. 10 to 16A. As both sides may pose a poison arrow to each other. Block 26 stack 47 does seem to have poison arrows aimed towards Block 18 stack 10. Block 18 stack 06 has a threatening poison arrow from stack 06 aimed towards Block 24 stack 36. Strata house no. 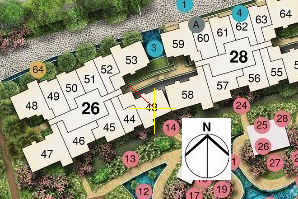 32 may have a poison arrow aimed towards low storeys of Block 30 stack 67. 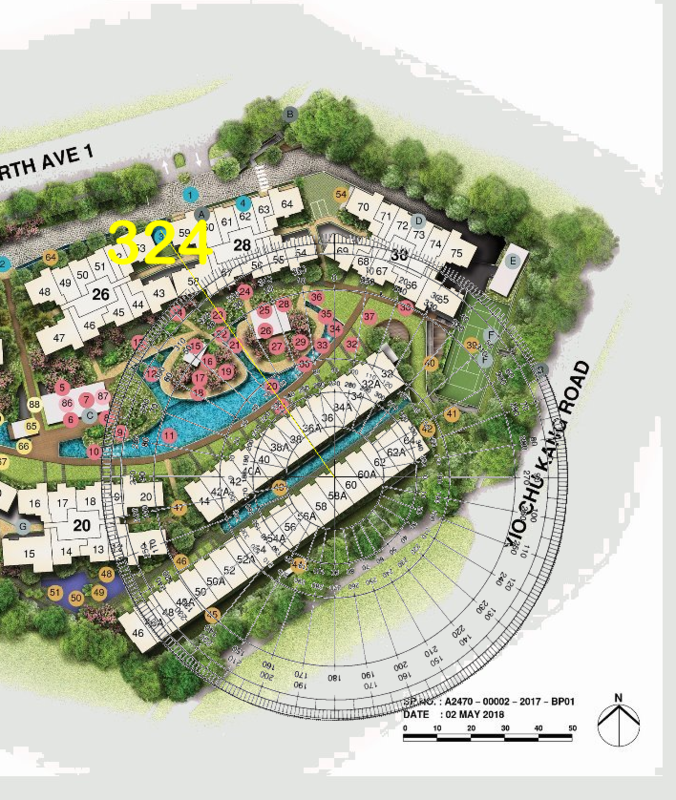 In addition Block 30 does have stacks 65, 66, 67, 68 and 69 may also have poison arrows aimed towards strata homes 32, 32A, 34 and perhaps 34A. House numbers 32 to 65 faces compass direction: 324 degrees or NW3. NW3 Has the auspicious water wealth #8 at it's frontage. Good that most these homes has a water position at it's frontage. Other than this, the rest of the sectors on this home has imbalances. Part 9 - Caricature: Whats in a name? 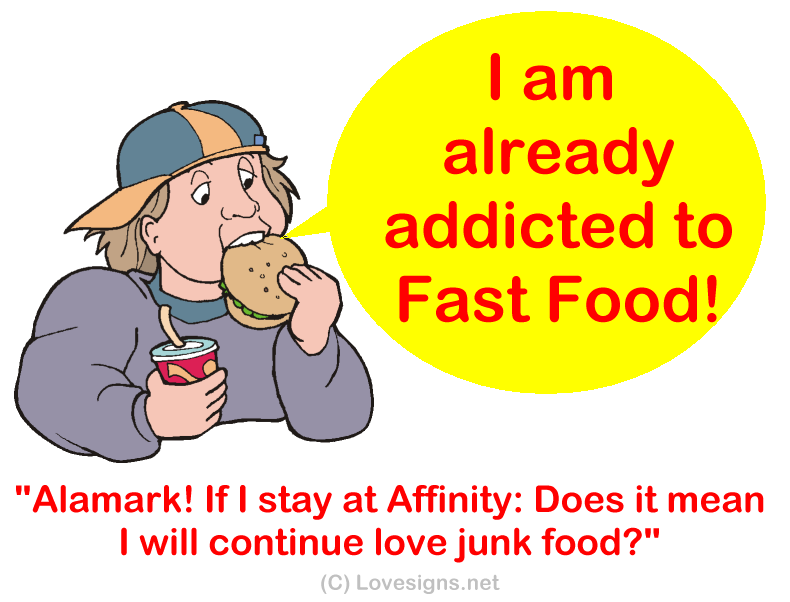 Affinity with? 1. The above says it all! 2. The term in Feng Shui is called "Fire @ Heaven's Gate". 3. A South facing home (Standing inside the living room facing out) in many unit layout often either have the kitchen at the NW or NE depending on whether the layout has been mirrored or not. 3.2 Frankly, I have not gone through in detail examination of each and every stack in this development. Be warned: I am sure that this is not the only stack affected by NW. 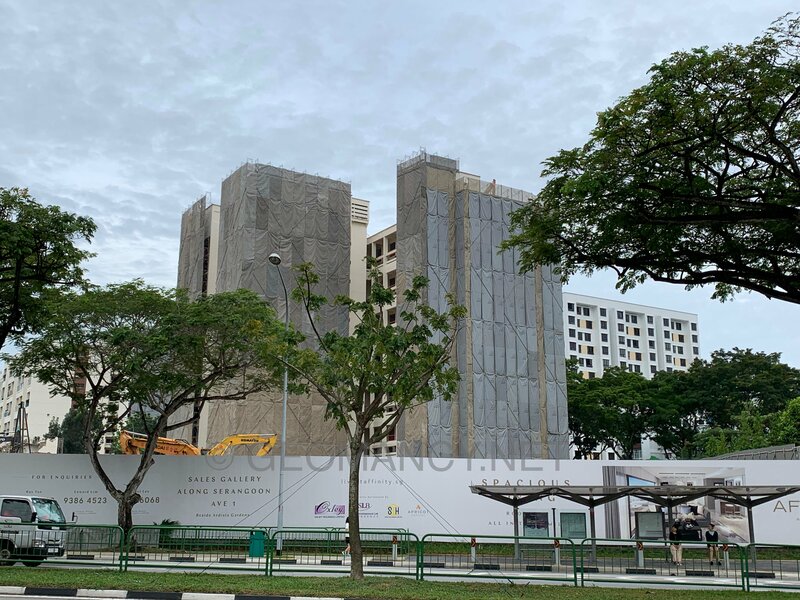 19 Jan 2019: Still in the process of demolition/tearing down .. 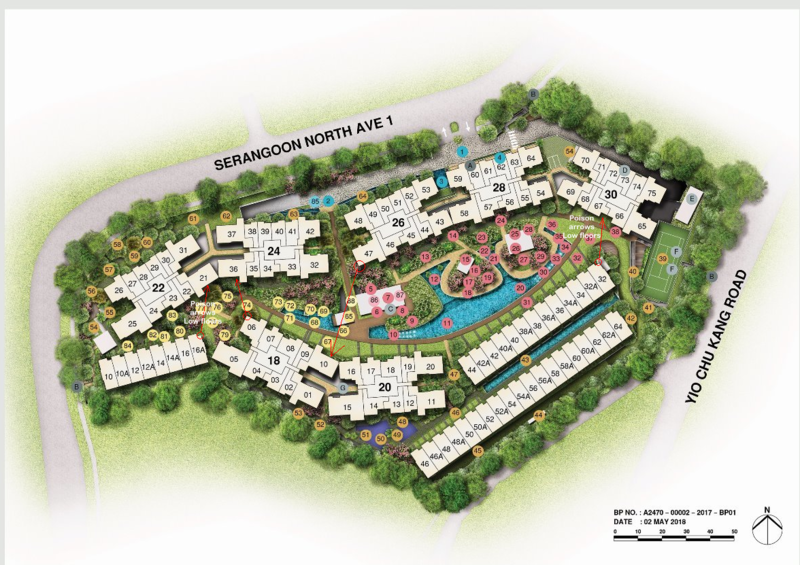 In Singapore, there are many condos and ECs with at least 1,000 units.